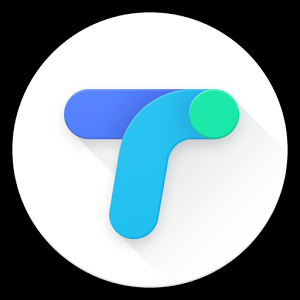 Google has recently launched Tez app for Indian users. Tez is a new payment app that can transfer money easily from one account to another. 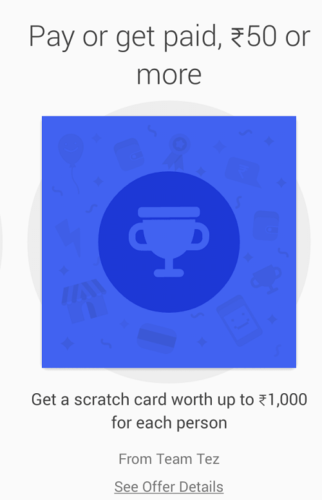 There are many other benefits of Tez app, but the one which is trending is its reward system. Tez will offer Rs 51 as a referral offer, and up to Rs 1000 (1 lack weekly) on Tez app Offers. Download Tez app from the Google play store. Install it on your smartphone. Note that your smartphone should have the mobile number registered with your bank. Create a 4 digit pin, then add your bank account. Go to “Add bank account” on top left corner and select your bank. After completing the process, you will be eligible for 3 Tez app Offers. Invite your friend by sending him a referral link. 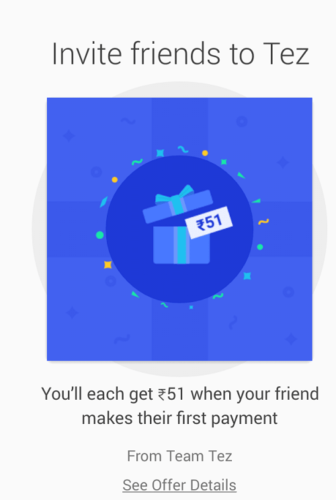 You and your friend will receive Rs 51 after your friend’s first transaction. You can earn a maximum of Rs 9,000 from this referral offer. This offer is valid till 1 April 2018. You will get a chance to enter the lucky draw if you pay anyone Rs 50 or more. 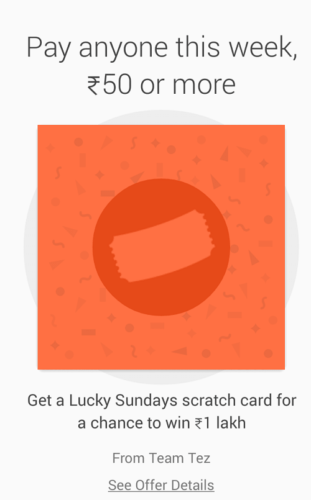 Once paid, you will automatically enter in Lucky Sunday offer. You can win 1,00,000 (1 Lakh) by just paying Rs 50 to any of your friend. The lucky winner will be announced on every week’s end. Receiving or Paying Rs 50 or more will also make you eligible for a scratch card. This scratch card can contain up to Rs 1,000. Receiver and sender, both will get a scratch card. You can get up to 5 scratch cards every week. To Get all 3 offers at once, just ask your friend (the one you referred) to send you Rs 51. Or send your friend Rs 51. Note that Tez app Offers are only valid if both the sender and receiver do their transactions via Tez. Download Tez from Google Play store by clicking this link.